In a series of tweets reacting to banks led by State Bank of India taking control of troubled Jet Airways, Mallya said, "… Only wish the same was done for Kingfisher". "Happy to see that PSU Banks have bailed out Jet Airways saving jobs, connectivity and enterprise, "he said. He further said," The same PSU Banks let India's finest airline with the best employees and connectivity fail ruthlessly. Double standards under the NDA. " 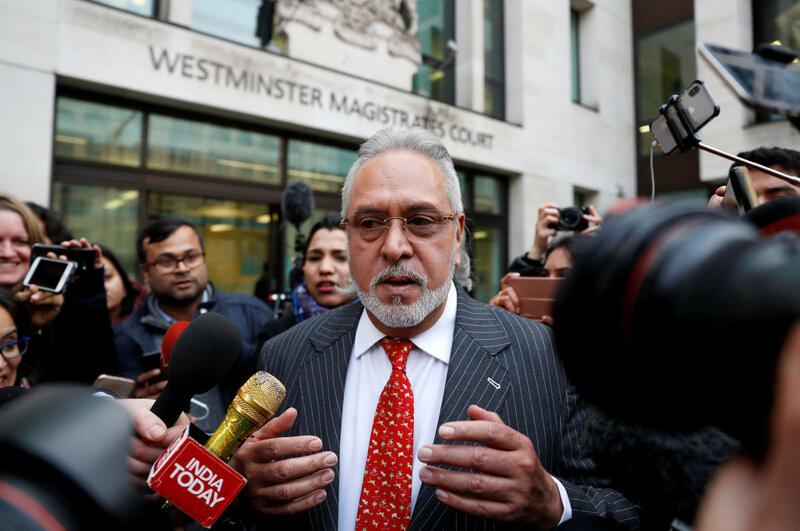 Mallya , who is facing extradition to India from the UK, lamented that his efforts to save Kingfisher Airlines were not recognized and instead slammed in every possible way. "I invested over Rs 4,000 in Kingfisher Airlines to save the company d its employees, "he claimed.
" BJP spokesman eloquently read out my letters to PM Manmohan Singh and alleged that PSU Banks under The UPA Government wrongly supported Kingfisher Airlines, "Mallya said. I wonder what has changed now under the NDA Government. " " And I repeat once again that I have liquid assets before the Hon'ble Karnataka High Court to pay off the PSU Banks and all other creditors. Why do the banks not take my money. It will help them save Jet Airways if nothing else, "he said. Last month Mallya, who is wanted in India on fraud and money laundering charges amounting to an estimated Rs 9,000 crores, had filed his application in the UK High Court, seeking permission to appeal against an extradition order signed by the British Home Secretary.